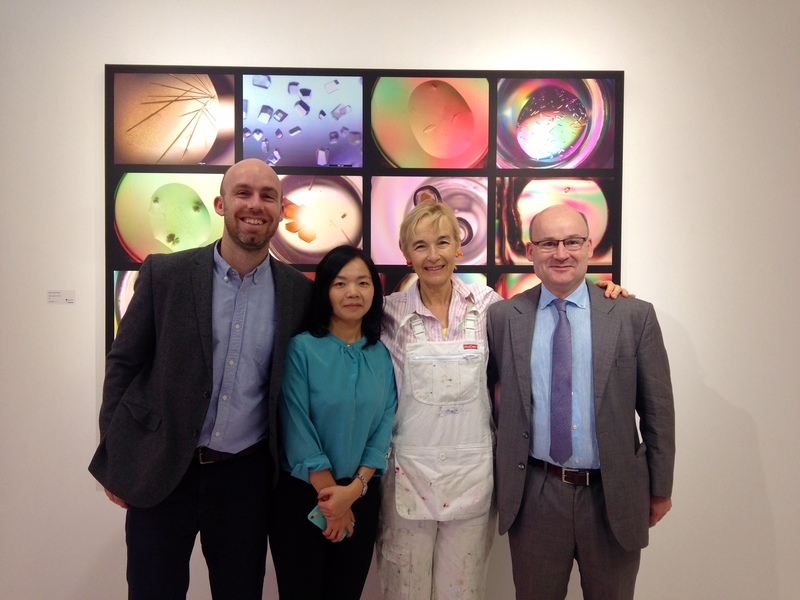 This afternoon workshop, given to Chinese students from universities in the Shanghai area, explored the relationship between Art & Science. On the walls were photos displaying the latest scientific research from the UK's Research Councils. From the photos and captions describing the scientific research, I asked the students to develop two adjectives and two abstract nouns to describe how they felt and what they thought of the scientific ideas. 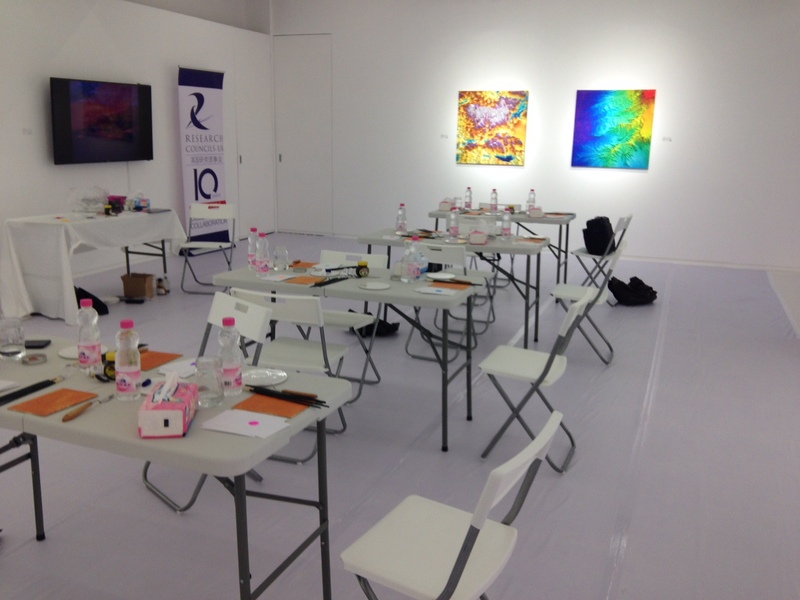 The words they chose formed the basis of the second stage of the workshop. From these words, the students did drawings which they turned into paintings. 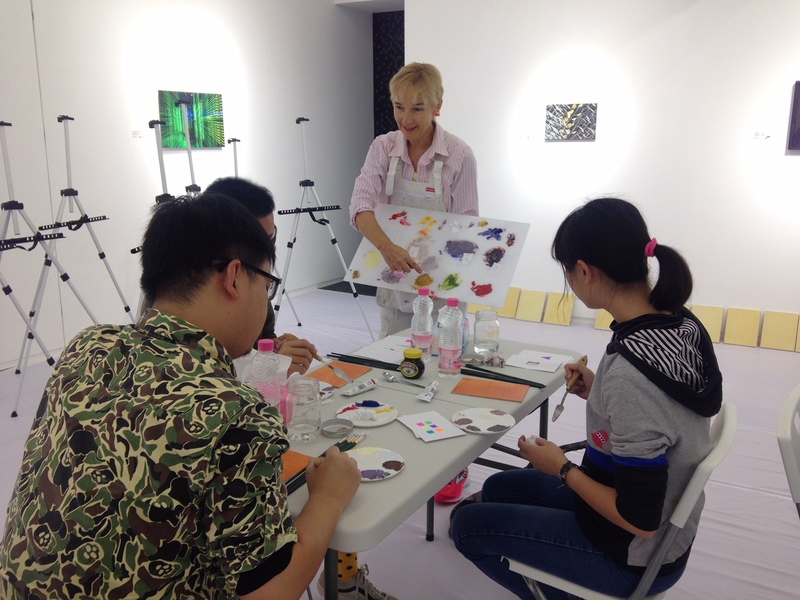 In the paintings they were able to apply skills in colour mixing that were taught earlier in the workshop. 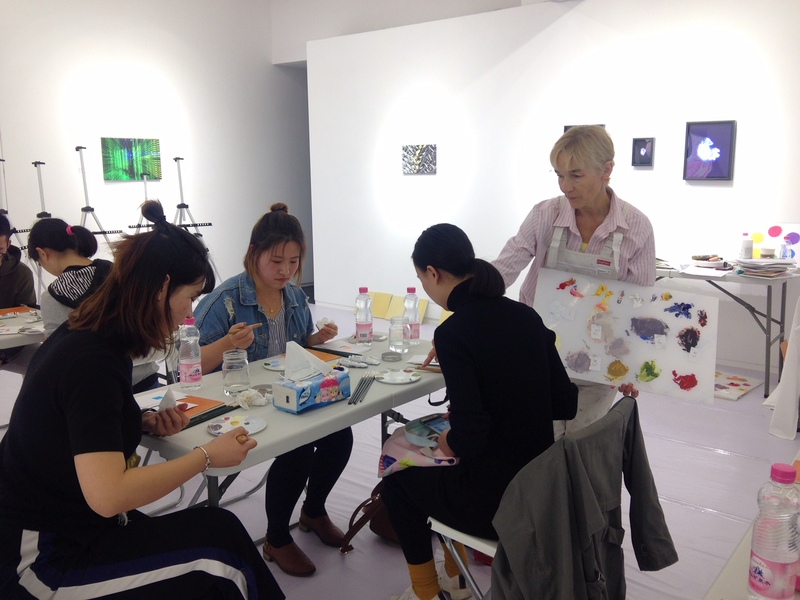 The students were taught how to mix opposing complementary colours through painting a Marmite jar. By mixing complementaries to create shadow colours, the students were able to create light and convey their reactions to the scientific ideas around them. This was a real Art/Science afternoon. In November 2017 I gave the workshop in a briefer form to media students at Queen Mary’s University, London. Students learning to paint the iconic Marmite jar with a teaspoon making a highlight. The Marmite jar gives yellows, reds and greens and white all in light and shade. All the colours in the shade are made by mixing complementary colours together.